Why you need more than Skype for business communications? 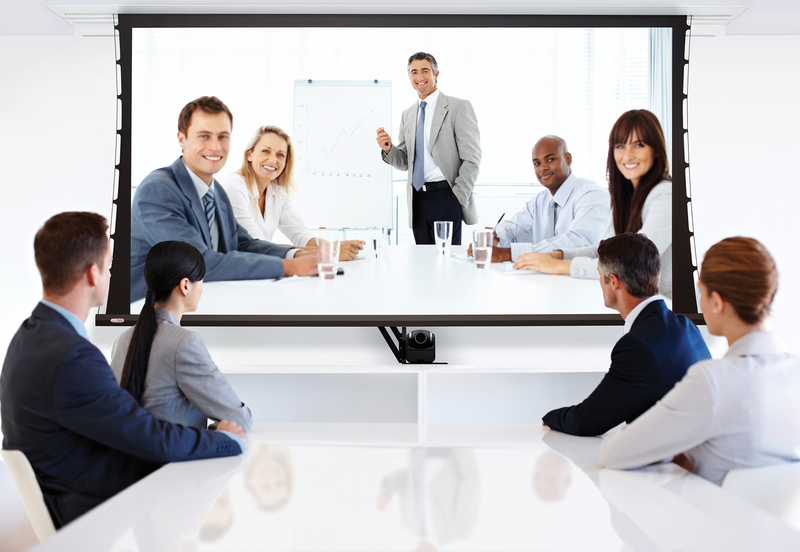 Skype has been one of the most popular choices for video conferencing over the past several years, but what started out as an easy way to chat with a long-distance friend has now expanded into modern conference rooms and international business deals. Despite Skype’s popularity, it has some chronic problems that have gone unresolved since its initial launch that customers have grown to accept, not knowing that other communication options for businesses have long surpassed Skype’s technology. One of the biggest flaws with Skype is its unreliability. It’s so common for people to have difficulty connecting in Skype that it has evolved into an ongoing joke on the internet, seen in comments such as, “90% of a Skype call is saying ‘can you hear me now?’” These issues exist even when just 2 people are trying to connect to each other, so business owners who want to have a team meeting with potentially dozens of employees will likely be in for a frustrating experience. Users also experience issues like Skype refusing to connect despite being online with a strong WiFi signal, terrible call quality, not being able to see the other caller, or having their microphone or webcam inexplicably stop working. Due to problems like these, hundreds of business owners have ditched Skype and switched to using BNESIM Enterprise to save both time and money. BNESIM Enterprise offers much more than just video calling and instant messaging for businesses. This cloud-based business phone system allows business owners and employees to communicate over phone, SMS, video calling, and other methods, in order to keep up with the shifting demands of a modern company. Along with the quantity of communication options available, BNESIM Enterprise also guarantees your information will be kept safe and secure due to encryption on all communication methods. Skype does not offer end-to-end encryption, so your personal data or information could potentially be seen by malicious third parties. In the business world, staying connected is critical for success. Business owners have to have reliable communication methods to keep in touch with clients, negotiate deals, contact vendors, and countless other daily tasks. Dropped calls or loss of internet connectivity can easily throw a wrench into your day, so investing in the most reliable communication company is one of the biggest decisions you can make as a business owner. BNESIM Enterprise is proud to have the industry best uptime of 99.999% so you can stay confidently connected at all times. If you or your employees have to frequently travel internationally, you’re probably familiar with the shock of seeing how expensive roaming charges and long-distance calls can be. Imagine if you could communicate with anyone no matter where you were in the world for free instead of paying hundreds on your phone bill. It sounds too good to be true, but it’s entirely possible with BNESIM Enterprise! BNESIM is best known for creating affordable global data SIM cards, which allow travelers to have unlimited data and coverage in dozens of countries worldwide. You and your employees can travel overseas and still connect to the internet, call, and text each other without worrying about roaming fees. But the best part is that anyone who owns a BNESIM SIM card can communicate with any other BNESIM customer completely free of charge, no matter which country they’re in! Save your money for investing in your business instead of giving it away to over-expensive traditional phone companies. Traditional phone companies are expensive, unreliable, and are slowly becoming replaced with better, quicker technologies. Modern businesses need flexible, scalable solutions for their growing companies and changing needs, which traditional landlines just can’t keep up with. If you want to add an additional line or change your phone plan, it can be a long process to wait for the phone company to respond and update things. With BNESIM Enterprise, it’s easy to set up because it doesn’t have any complicated hardware to install and it’s ready to go as soon as you receive it. If you do need help getting started, BNESIM offers 24/7 support with professionals from around the globe to help you get your phone system set up in no time. BNESIM Enterprise is also a scalable solution and it’s simple for business owners to add virtual phone numbers, hire more employees, and customize their own phone plan for their business. It’s a quick and affordable solution for any kind of business, so click here to see how you can get this amazing service and save up to 95% on your business phone bill!